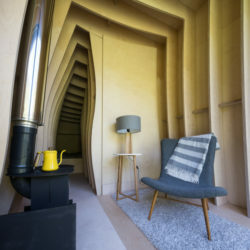 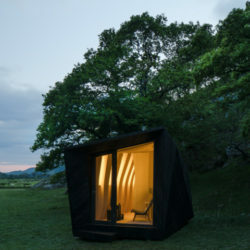 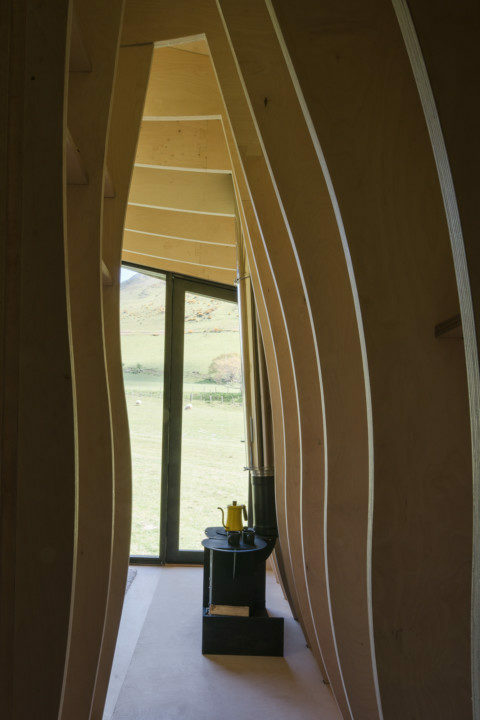 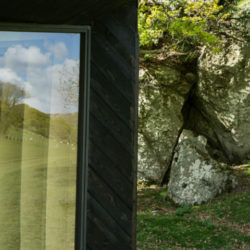 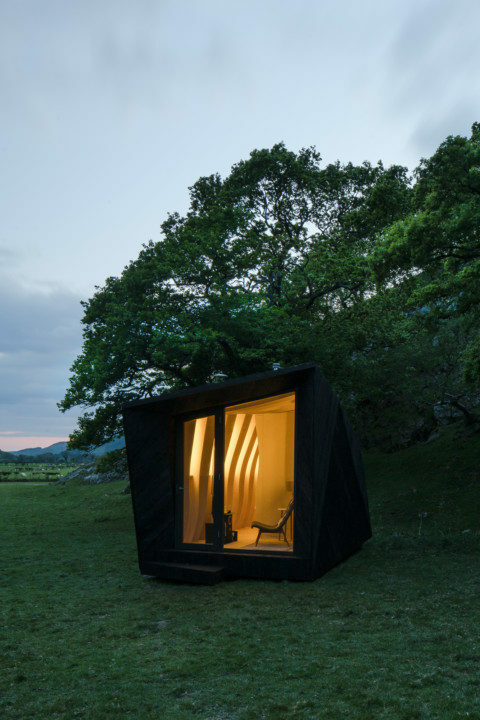 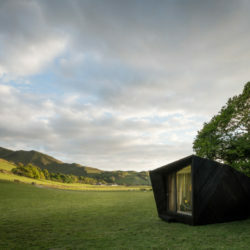 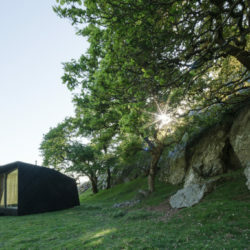 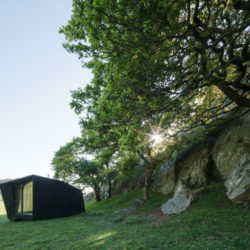 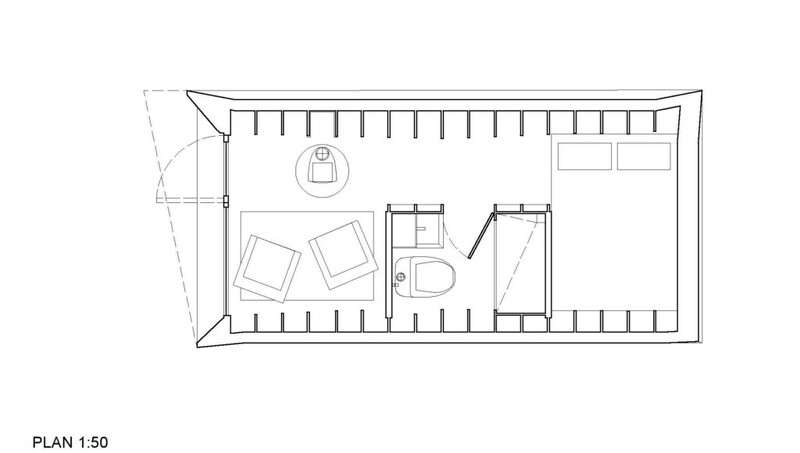 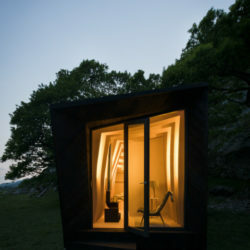 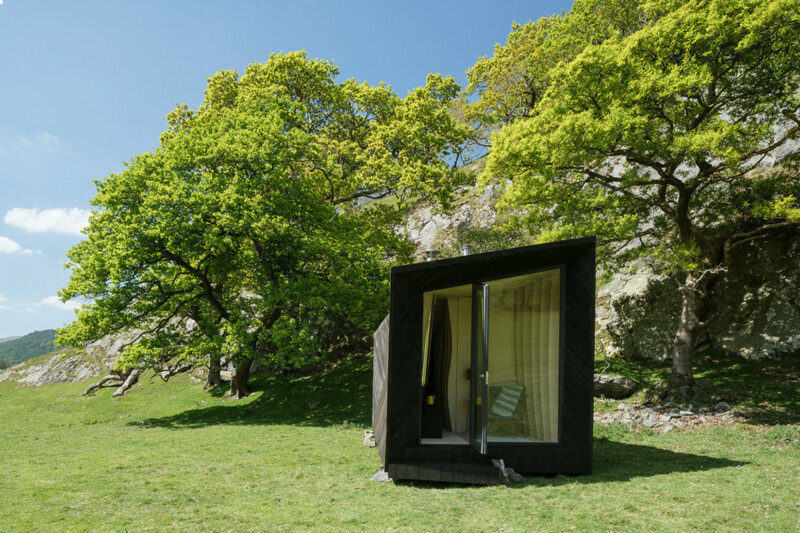 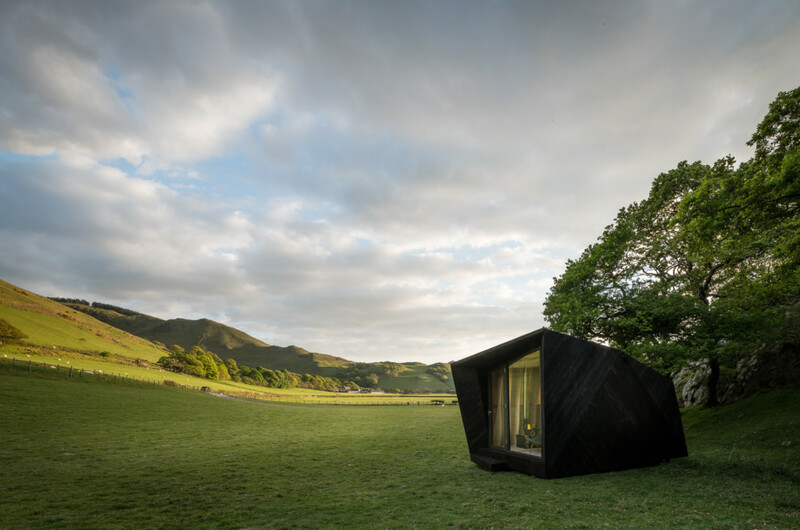 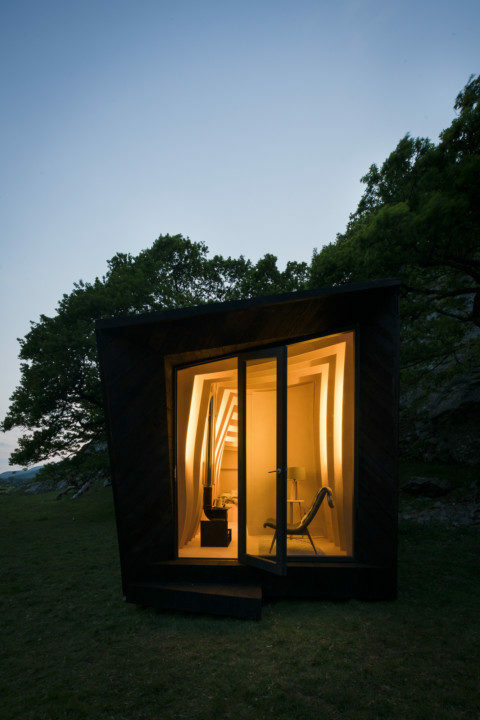 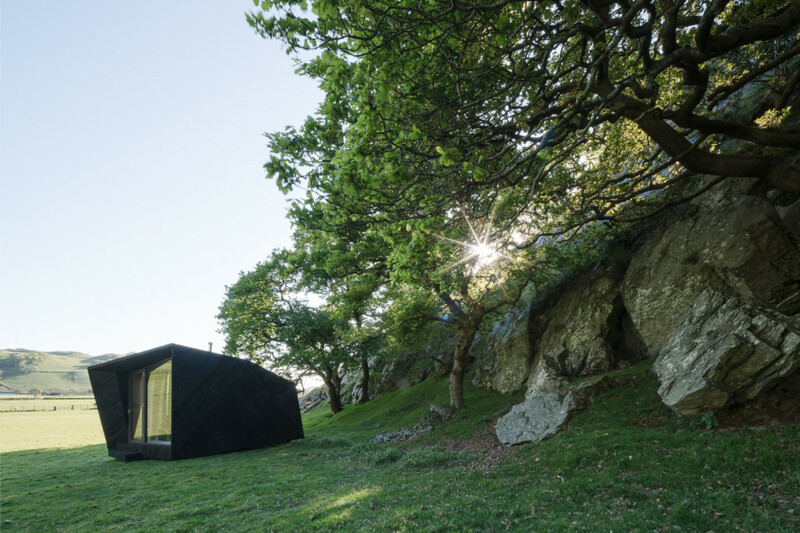 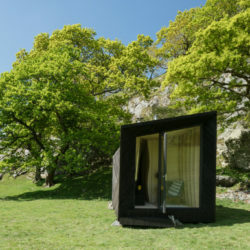 The cabin, known as ‘Arthur’s Cave’, was one of eight winning entries for a competition ran by the Epic Retreats. 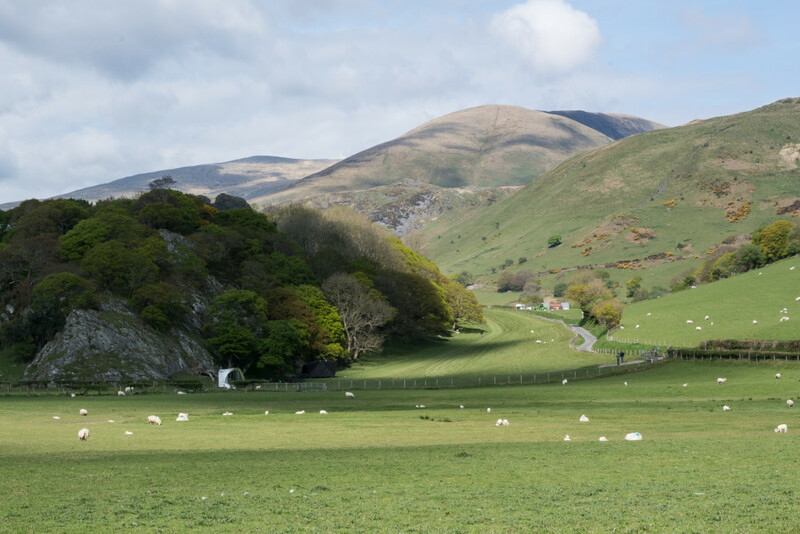 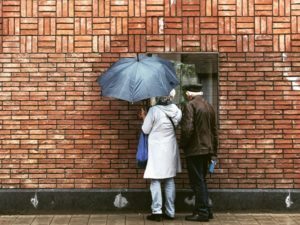 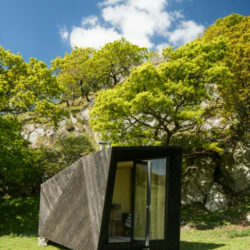 The project was part funded by the Welsh Government’s Tourism Product Innovation Fund. 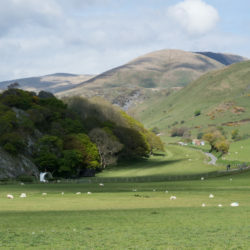 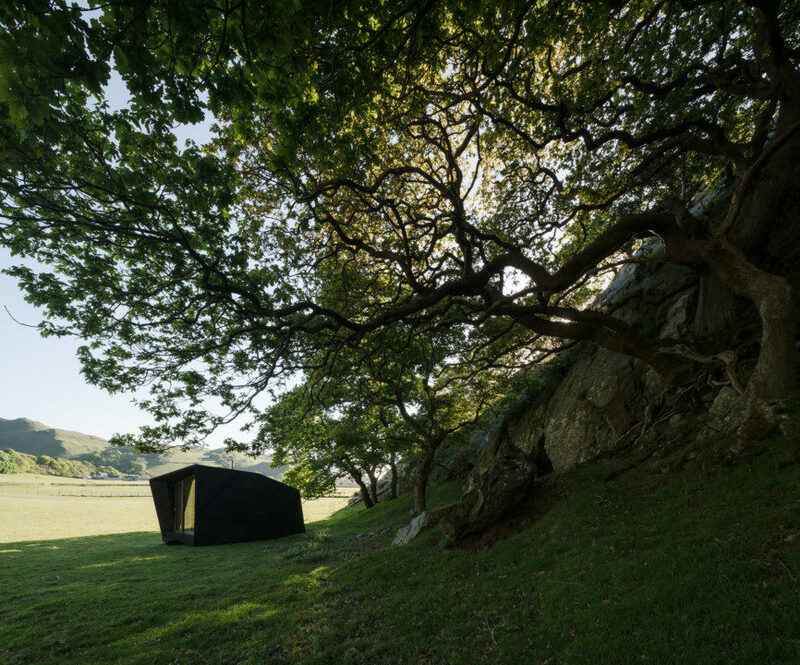 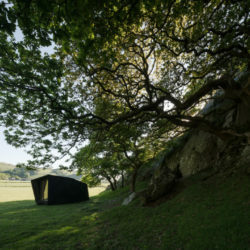 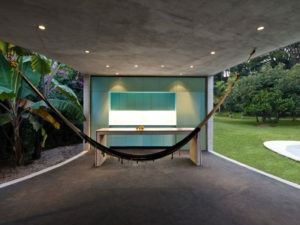 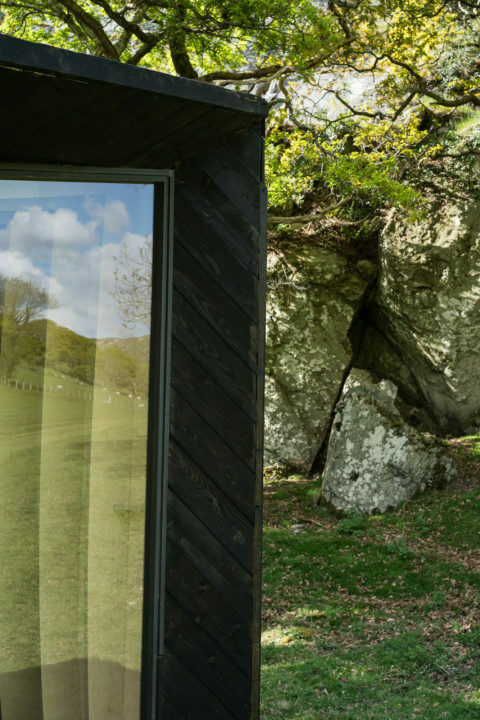 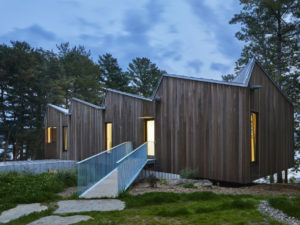 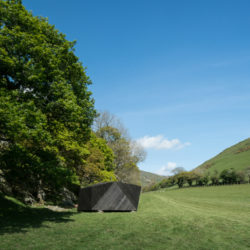 When designing the structure, Miller Kendrick Architects took inspiration from the ancient landscape of Wales but incorporates modern construction techniques. 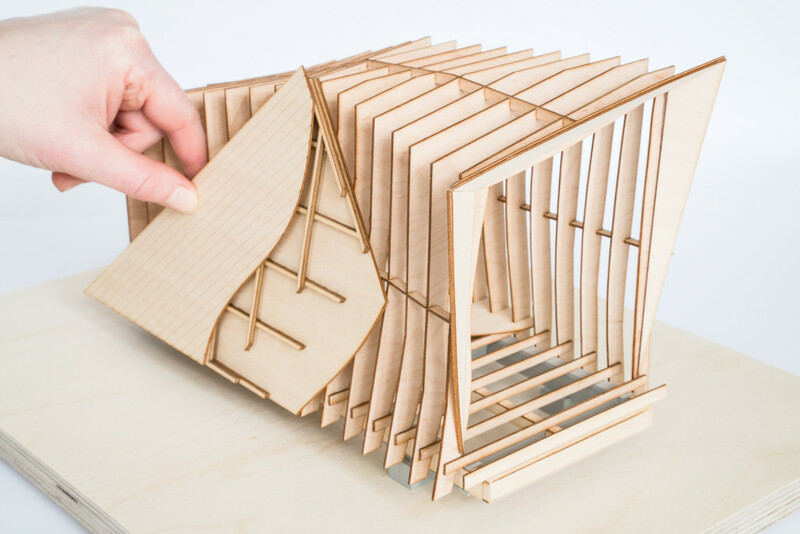 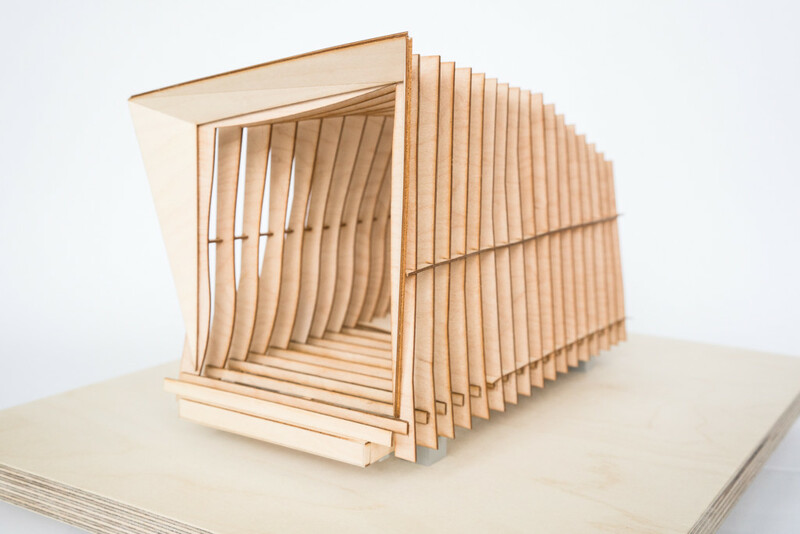 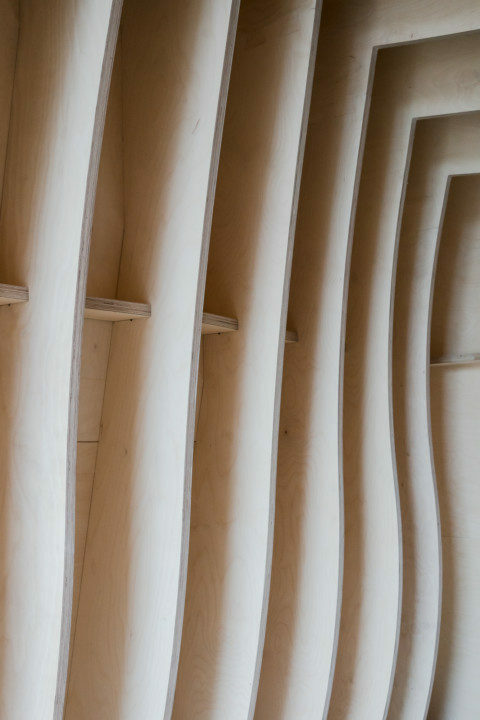 The structure is a combination of CNC-cut birch plywood ribs and sheathing panels, which act together to form a composite structure. 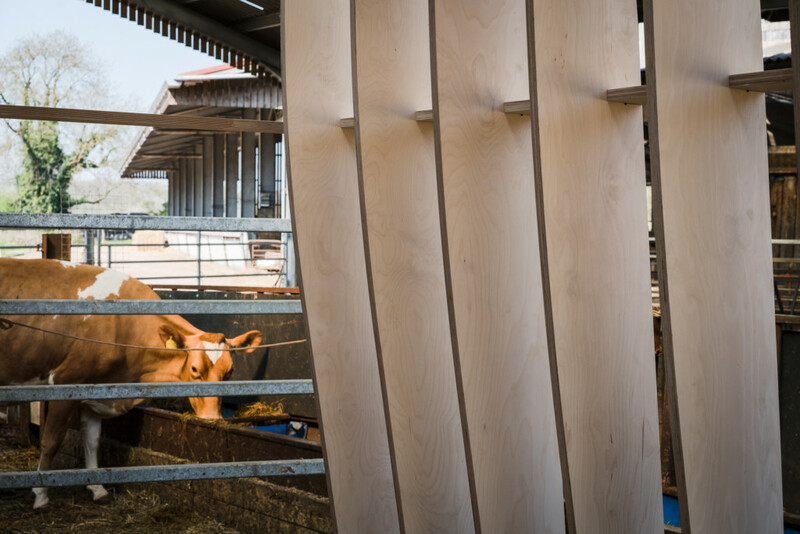 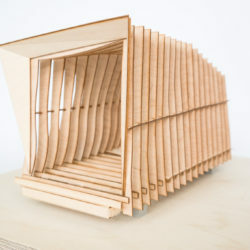 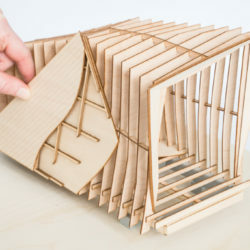 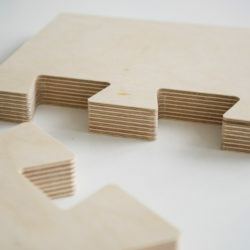 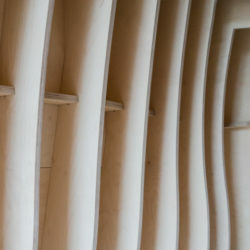 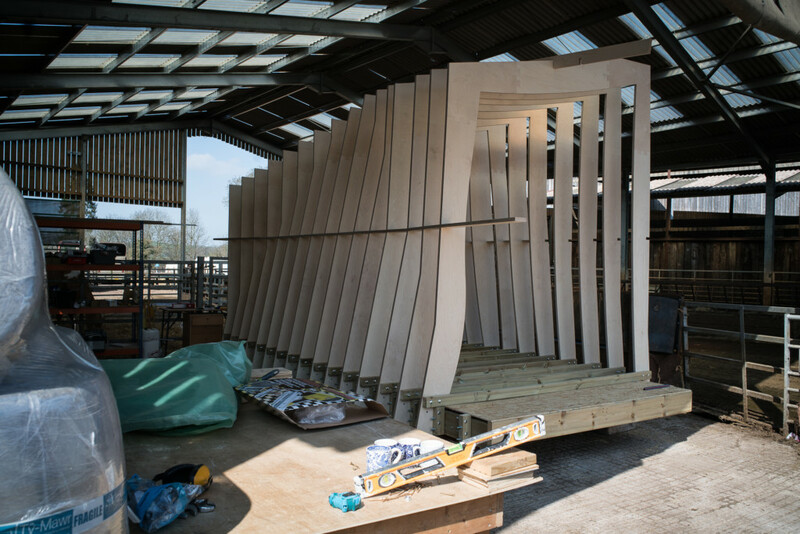 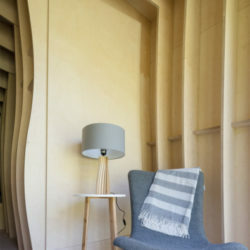 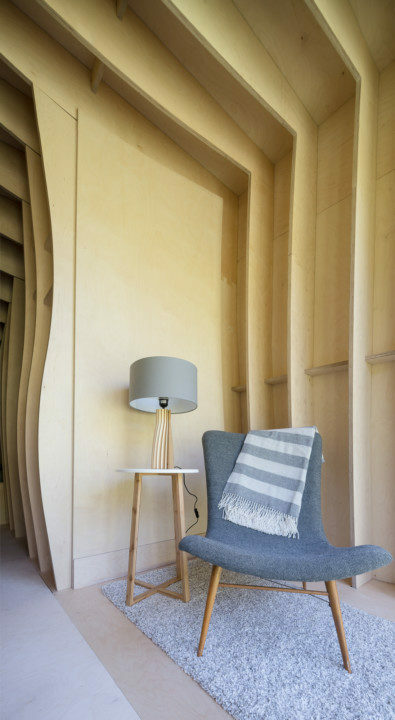 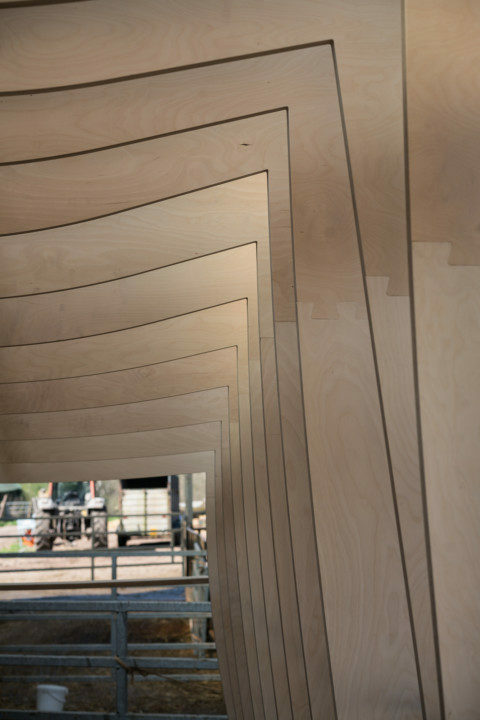 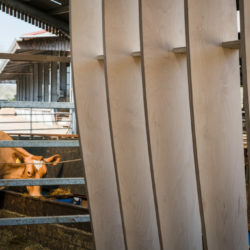 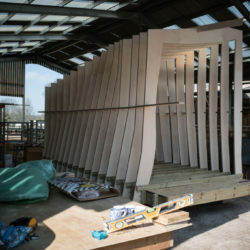 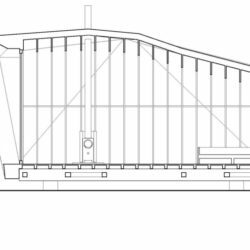 The structural ribs are comprised of either three or five individual sections of plywood, tightly fitted together using ‘jigsaw’ joints with a high degree of tolerance. 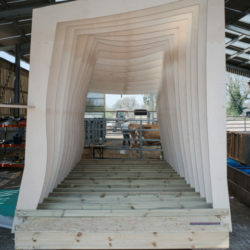 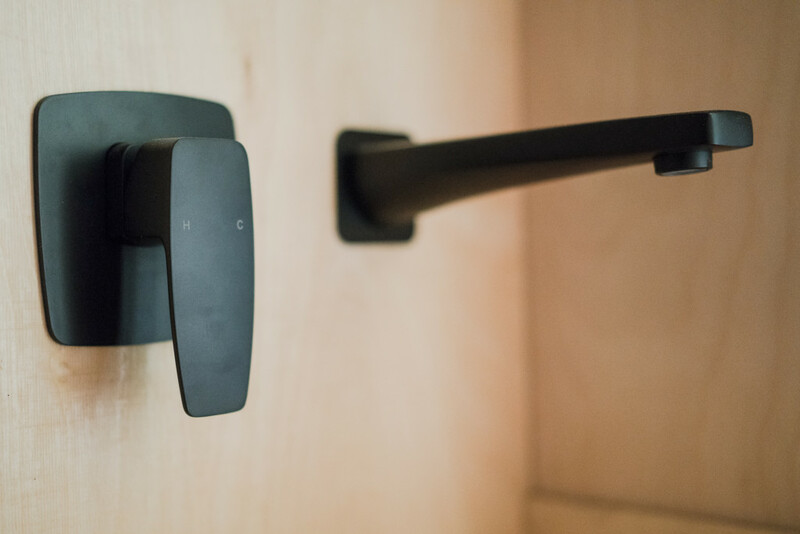 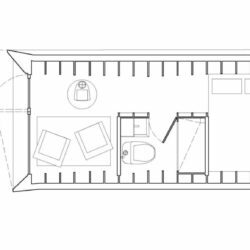 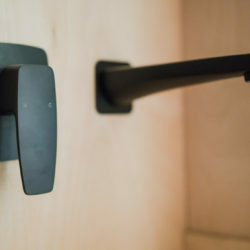 As a single internal material, the plywood provides both structure, finish, fixtures and fittings – including a plywood sink and bath. 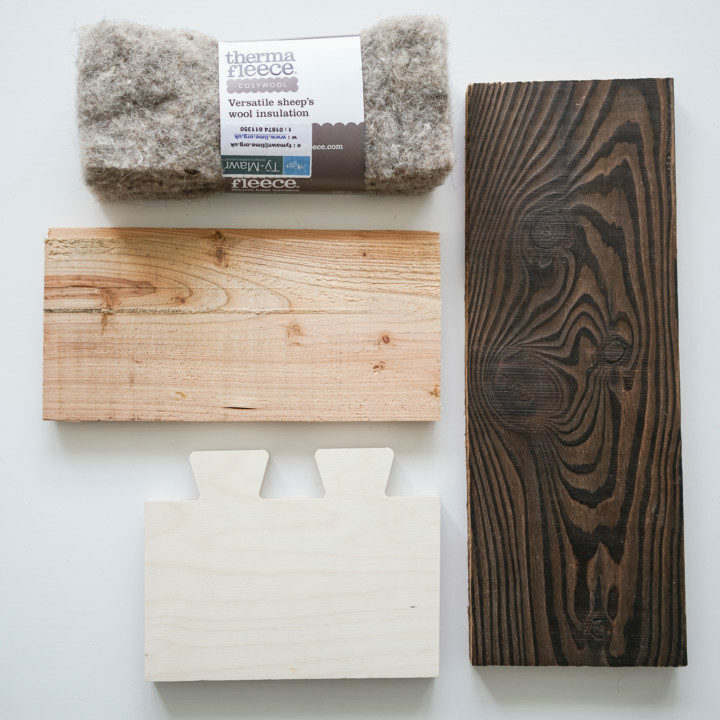 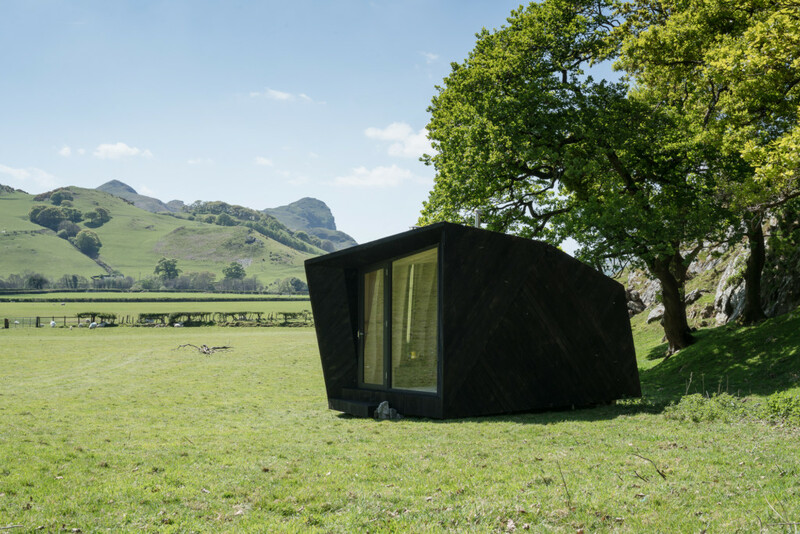 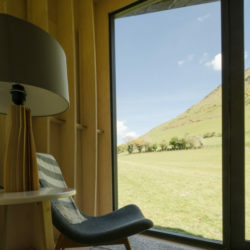 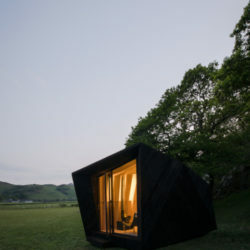 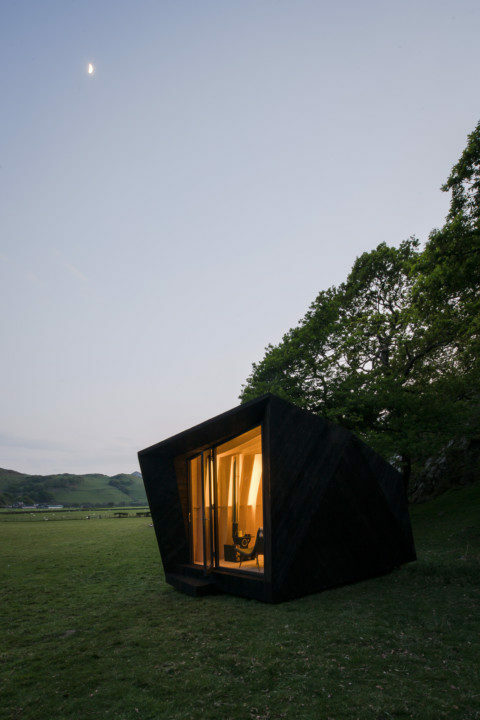 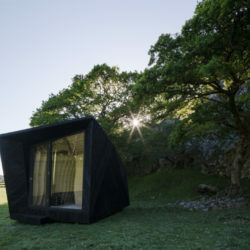 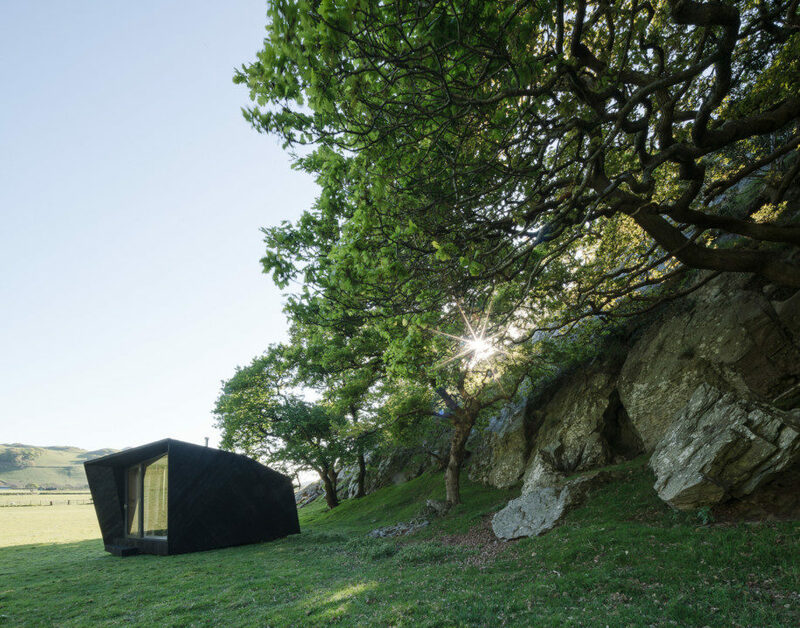 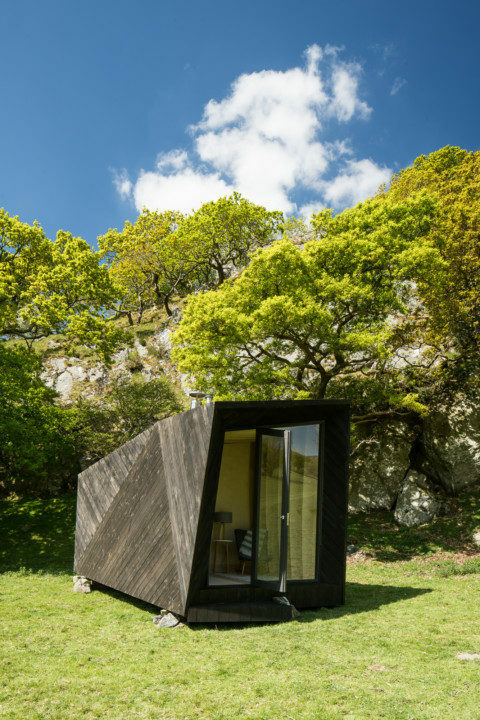 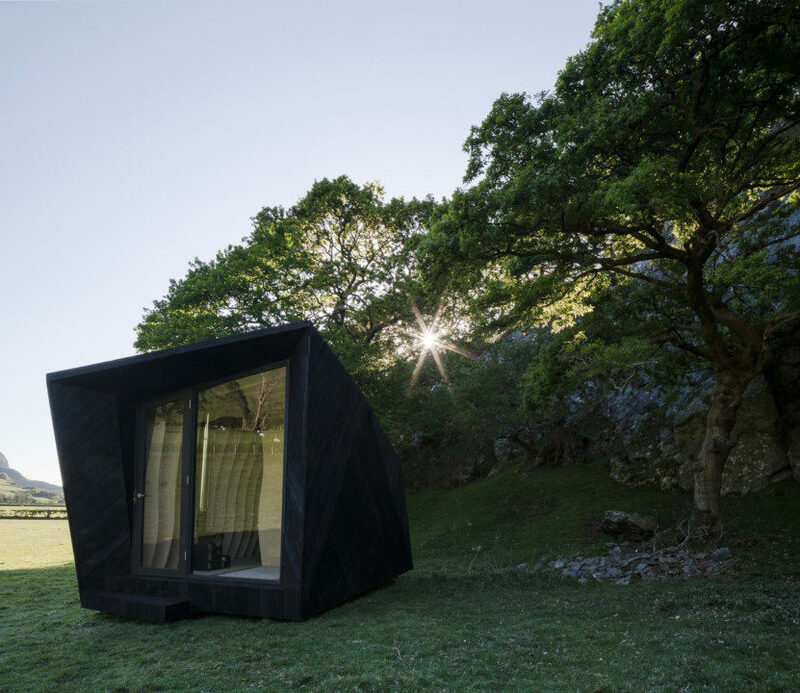 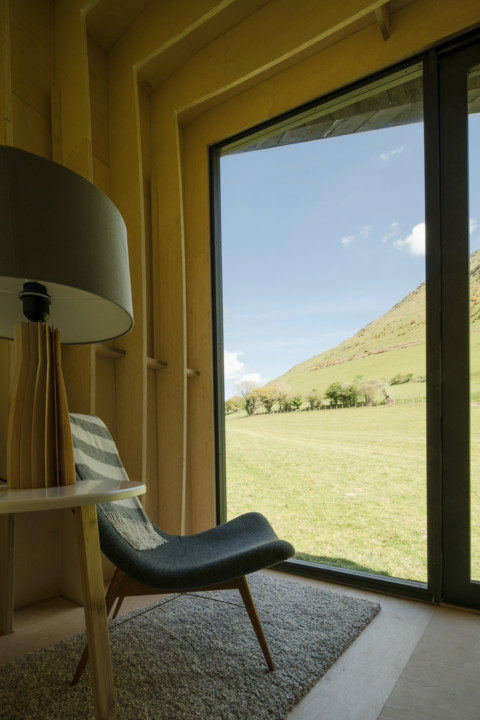 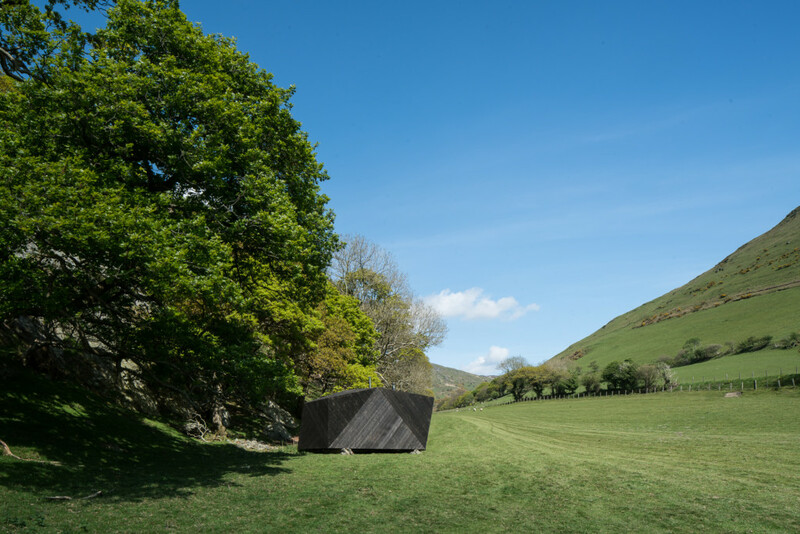 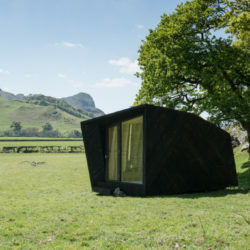 The faceted envelope is clad in locally-sourced Welsh larch boards stained black, with sheep’s wool insulation part-filling the cavity. 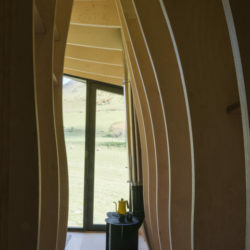 The construction of the cabin took four weeks to complete. 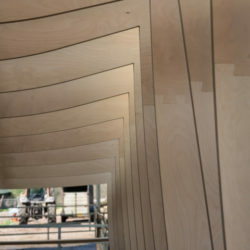 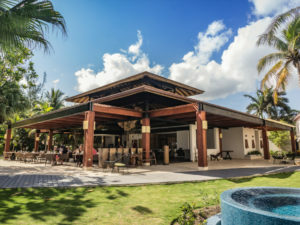 The build was managed and built by EJ Ryder Ltd. who also assisted in the detailed design and provided expert knowledge of plywood construction and prefabrication techniques. The cabin was built with the Burford Farm Project in Shepton Mallet. 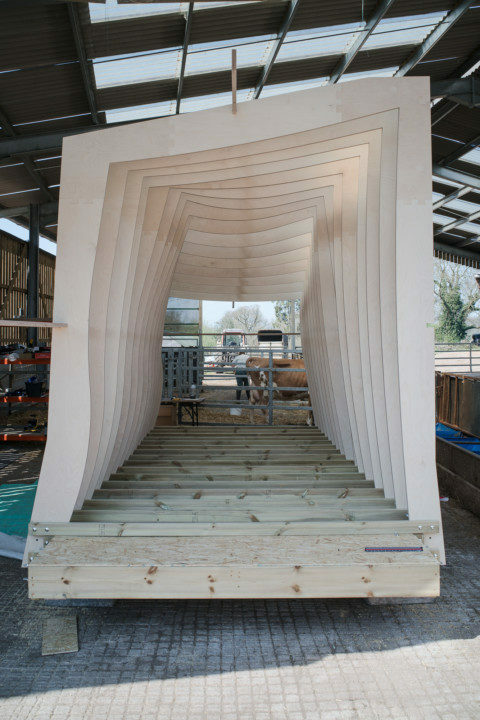 The structural engineers were Momentum Engineering, London, and the cost consultant was PMP Consultants, Birmingham.